This 6,100 SF suite in O'Quinn Medical Tower unites three branches of Stryker into one convenient location. Stryker OnSite, Stryker Instruments Training, and Stryker Communications come together to collaborate and train in the heart of the Houston Medical Center. 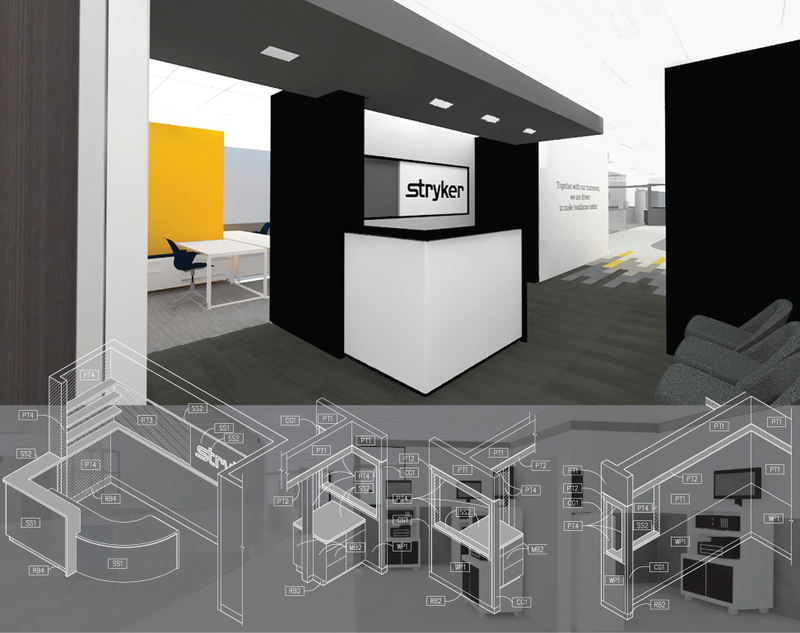 We were midway through design when we got word Stryker's branding was being updated. The uncertainty of future corporate colors inspired us to design within a cool gray range making last minute edits as easy as possible. 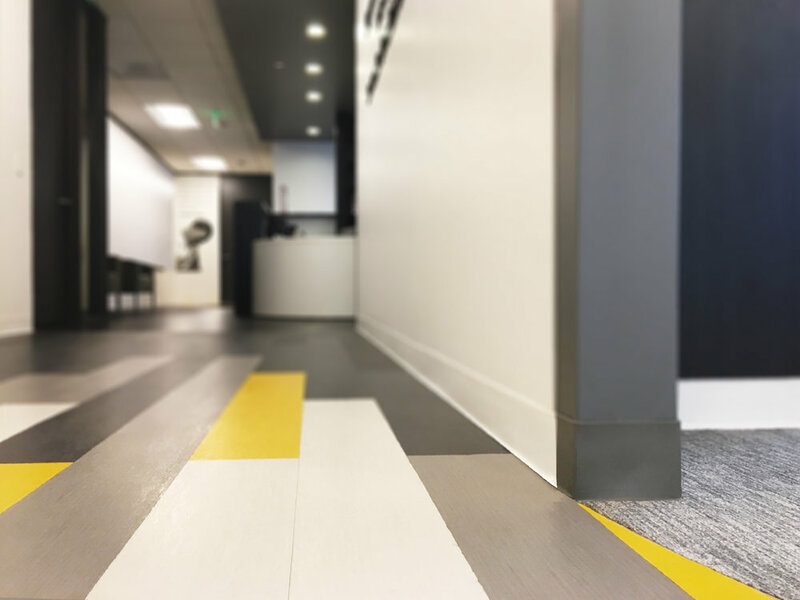 At the end of the design process we were able to fold in the officially announced yellow hue into the space through flooring, environmental graphics, wall paint, light fixtures, and wall tile. The space consists of an equipment and tool maintenance lab, instrument training simulation, an OR simulation, open work areas, a private office, a conference room, and a classroom. More pictures coming soon!